West Palm Beach, FL – The South Florida Water Management District (SFWMD) Governing Board on Thursday approved a plan to move forward with test wells and exploration of a strategy that could further reduce damaging discharges to the coastal estuaries while larger Everglades restoration projects are completed. "With inconsistencies in federal funding causing delays to long-term restoration projects, Emergency Estuary Protection Wells serve as the most immediate and most beneficial option to provide relief to our northern estuaries during high water emergencies," said SFWMD Governing Board member Brandon Tucker. "This Board supports this proven, cost effective technology while working toward the ultimate goal of getting large-scale Everglades restoration projects online. SFWMD staff briefed Governing Board members during their regular monthly business meeting today on the plan to create test wells to gather more information on the possible use of Emergency Estuary Protection Wells. 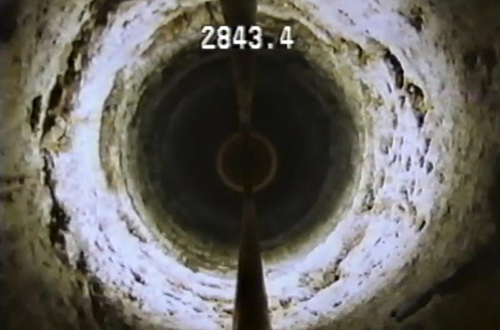 The wells would utilize deep injection technology to move water that would otherwise be released from Lake Okeechobee to the coastal estuaries 3,000 feet below ground into the "boulder zone." The wells would only be used during high water emergency situations like the one currently caused by record May rainfall when the lake has risen so high that the U.S. Army Corps of Engineers has no other choice but to release water to the estuaries to protect residents from flooding. The wells would provide another outlet for that water that would protect the estuaries from environmental harm. After the test wells gather more information that can be used to design a large-scale program to use the Emergency Estuary Protection Wells, the wells can be built and operational more quickly than large capital projects. Once completed, the wells would provide additional opportunities to protect against harmful discharges and can continue to work alongside restoration projects as they come online. Several major restoration projects that are part of the Comprehensive Everglades Restoration Plan are either under construction or in planning. These projects rely on federal funding, which has fallen behind State efforts. These projects, once fully funded and constructed, are expected to help reduce about 80 percent of unwanted estuary releases made for flood control purposes. The Emergency Estuary Protection Wells will be used in the interim while these projects become operational and, furthermore, will be able to help reduce some of the remaining volume of estuary releases even after these restoration projects are complete. Ansley Marr, SFWMD Office Chief for State Policy & Ag Coordination, provides an update to the Governing Board at its Sept. 13, 2018, meeting on planning for Emergency Estuary Protection Wells.